Christian Media in Nigeria : Julius Agwu Set To Launch Christian Bar In Lagos! Julius Agwu Set To Launch Christian Bar In Lagos! 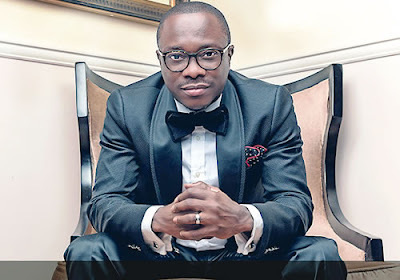 Popular comedian, Julius Agwu has concluded plans to open a Christian nightclub in Lekki, Lagos. The singer and comic actor, who recently had a successful brain surgery, is now more appreciative of life and has been leading a more Godly lifestyle. The 42-year-old, who is glad for a second chance at life, only recently concluded the shoot of a gospel music video which will be unveiled soon. His new Christian bar which will be launched in two months will reportedly be called ‘Believers Lounge’ and will be an alcohol and smoking free zone. Julius Agwu who is bouncing back from his brain surgery months ago in America has said that he went through his ordeal because God wanted to give him a second chance. Speaking to Hip TV, he said God wanted to prove a point to him. “Well, the surgery God used it to prove a point. I’m living testimony of the fact that God really works. I mean it’s not everybody that gets this privilege; I mean this privilege of a second chance, which is also the title of my new single. The video will soon be out”. What are your thoughts on Julius's idea of having a Christian lounge? Please drop your comments below.